Nice is nice. Its historic city center surrounds a beautiful bay, and its streets are filled with gorgeous architecture. City walkers like me love Nice, whether we’re strolling by the seaside along the Promenade des Anglais, or wandering the streets, people watching, exploring shops and admiring architecture. Visit in November and you’ll likely find few crowds, sunny skies with daytime temps in the low 60’s, and despite the French Riviera location, affordable prices. Hotel rooms with en suite bath can be had for as little as €40 per night this time of year. It’s also easy to eat on a budget in Nice. Since it’s got a Mediterranean climate, there’s still plenty of fresh produce at the local shops, and this is where you can find some of France’s best Turkish kebab and Lebanese food. 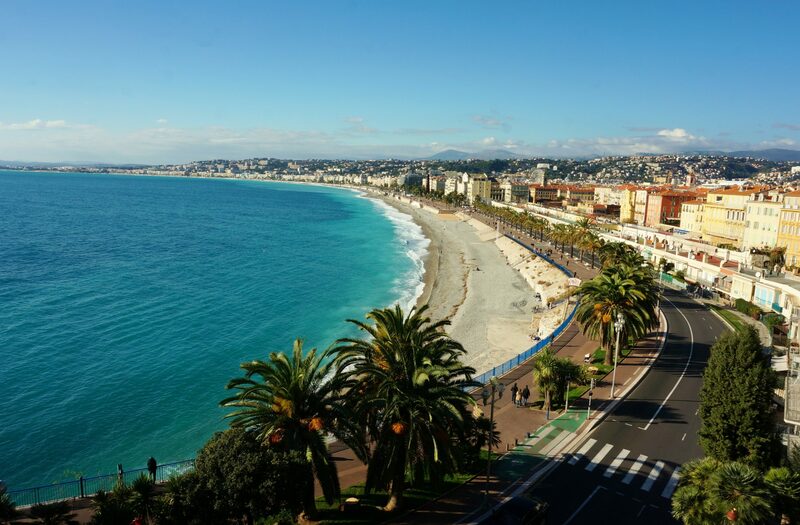 Spend some time in Nice, and I think you’ll agree it earns its nickname: Nice la Belle.